Universal Tool Hi-Lok Modular Installation Tools are for -5 thru -8 Hi-Lok/Hi-Lite pin and collar combinations. The modular attachment design lends itself to point-of-use kits and travel repair kits for airframe maintenance. 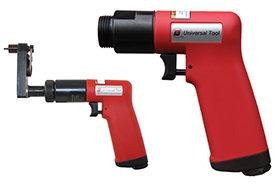 Universal Tool Hi-Lok attachment and socket assemblies are interchangeable with other major manufacturers. 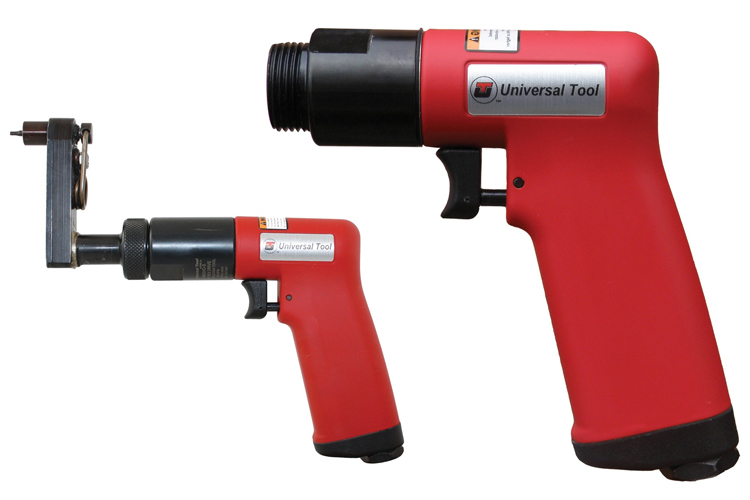 Universal Tool Hi-Lok Modular Installation Tools are lubrication free, 75 dBa and a ported throttle for precise control. The HD5-9301-3121-781 Universal Tool Hi-Lok Modular Installation Tool is one of thousands of quality tooling products available from MRO Tools. Please browse Universal Tool Hi-Lok Modular Installation Tools for tools similar to the HD5-9301-3121-781 Universal Tool Hi-Lok Modular Installation Tool. HD5-9301-3121-781 Universal Tool Hi-Lok Modular Installation Tool description summary: Universal Tool Hi-Lok Modular Installation Tool. Speed (rpm): 500 Socket Hex: 5/16'' Socket Length: 1'' Hex Tip Size: 5/64'' Overall Length: 12.750'' Quantity discounts may be available for the HD5-9301-3121-781 Universal Tool Hi-Lok Modular Installation Tool. Please contact MRO Tools for details.